Like the original, Monument Valley 2 uses clever level design with interactive elements that change how objects are connected. Many of the puzzles are based on Escher-esque forced perspective, so if two things appear to be connected, they are connected. Couple that with the lovely vistas and bright colors, and you've got a real visual treat. 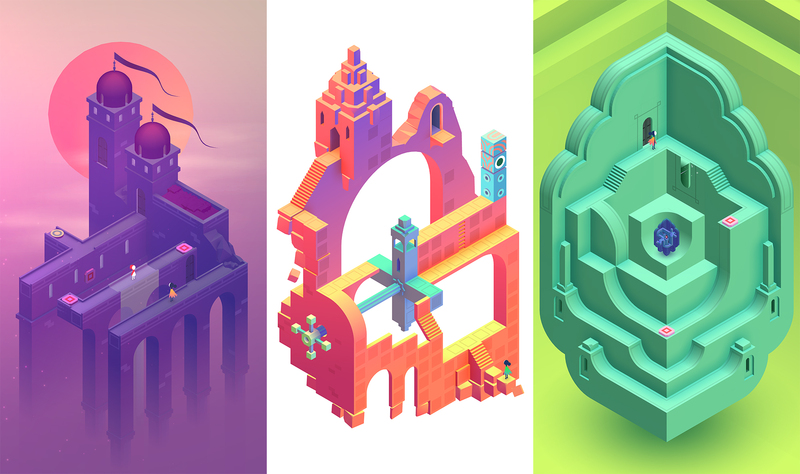 Monument Valley 2 follows Ro as she teaches her offspring about the intricacies of the valley. Gameplay is similar to the original (just tap where you want to go), but it's a completely separate adventure. You do not need to have played the original game to follow this one. You should play the first one, though. It's great. The early reviews of Monument Valley 2 are very positive as well. If it's anything like the first game, you'll be able to finish Monument Valley 2 in an afternoon, but it'll be a fun afternoon.